Red Bull Conquest wrapped up its team-based fighting game competition in Washington, D.C., this past weekend, bringing Street Fighter V, Tekken 7, and Guilty Gear Xrd Rev 2 competitors together to decide which American city is the strongest. Victor “Punk” Woodley, who famously placed second at Evo 2017, ending up winning the Street Fighter V tournament for New York City, but not before playing the heel against his grand finals opponent by opting to use the same character. Punk’s opponent, Alan “Nephew” Sun, is a strong player who has also made waves in the fighting game community due his unusual choice of Street Fighter V character. 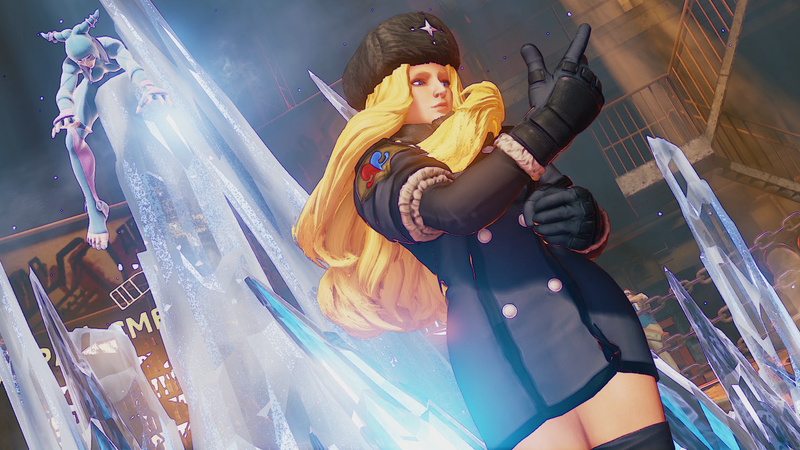 Kolin, who was first introduced to the franchise in 1997 as a non-playable assistant to Street Fighter III villain Gill, eventually debuted as a playable character in Street Fighter V. Her moveset combines cryokinetic powers with the Russian martial art of Systema, resulting in a cool mixture of holds and counters. Still, she rarely sees play at major tournaments. Choosing a fighting game character is like choosing a weapon for battle. This choice says a lot about what someone values in serious competition, and players often connect with their chosen character on a personal level. While it might behoove most of the competitive community to pick strong cast members, like Cammy or Laura, there’s also value in maining a character with which you feel comfortable or who fits well with your personal playstyle. And should someone find regular success with a specific character, it often feels as if that character “belongs” to them, and that their choice of fighter is as crucial to their persona as the tag they choose or the clothes they wear. Punk plays a lot of characters, but his main has always been Karin, the haughty heiress with a penchant for smacking opponents clear across the screen. She’s not necessarily a villain in the Street Fighter universe, but the arrogant demeanor she brings to her fights fits perfectly with Punk’s own cocky strut. In the past, he has referred to himself as “the alpha”; he manages to play the heel without veering into territory that makes him downright unlikable, much like his namesake in professional wrestling. Nephew, on the other hand, has only briefly flirted with characters other than Kolin, and makes his way through tournaments with a quiet resolve that belies the beatings he hands out in-game. Before Punk and Nephew could meet in the grand finals, however, the weekend began with an intense round of last-chance qualifiers. Red Bull Conquest has made various stops across the United States over the last few months, formalizing teams of players to represent cities like Oakland, Chicago, and Houston. Nephew is from Pittsburgh, but didn’t make it to the closest qualifier in Philadelphia. He ended up at the Washington, D.C. event, which meant he would have to outlast 69 other players if he wanted to be chosen for the team that would ostensibly represent that area. Missing his very first match didn’t make things much easier. After being disqualified for his tardiness, Nephew had to make his way through the losers bracket, defeating strong players like Chakotay “ElChakotay” Andrich and Jonathan “JB” Bautista en route to a championship victory against Red Bull’s own Darryl “Snake Eyez” Lewis. Due to his early disqualification, Nephew played three more matches than Snake Eyez over the course of the tournament, but still managed to win the two sets required to walk away as the Washington, D.C., representative. Nephew’s path through the main event followed a similar pattern after he lost his first game to online qualifier Derek “iDom” Ruffin, but he managed to eventually eliminate iDom, along with Los Angeles and Oakland reps Bryan “Dankadillas” Teran and Putthivath “Samurai” Chea. 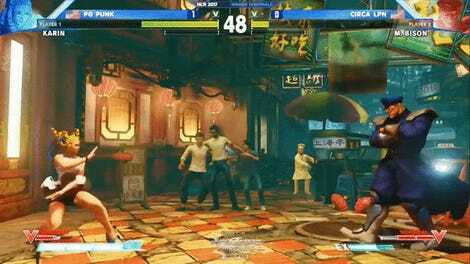 After all that, he reached a waiting Punk in the grand finals. At first, it wasn’t clear that Punk was going to challenge Nephew with his own character. He hovered over Kolin for a bit before choosing her, and even got a second chance to change his mind when they returned to the character select screen to choose a different stage (the randomly selected training mode level is banned in competition). The on-stage cameras caught Punk grinning right before the match began in earnest, with Kolin still as his choice. The commentary team expressed surprise, but this wasn’t a new move for the young competitor. Punk has history when it comes to mirror matching Kolin players. At the ELEAGUE invitational, he defeated Japanese veteran Yusuke Momochi in a quick 2-0 sweep. And just a week before Red Bull Conquest, Punk came up against Nephew himself in an online Capcom Pro Tour tournament, revealing his pocket Kolin and winning by a score of 3-1. He seems to enjoy choosing the Street Fighter V newcomer against established Kolin players, almost as though he has some fixation with proving he can beat them with their own character. He’s clearly done well in that pursuit. If Punk had learned anything in that previous meeting, it wasn’t immediately clear. Nephew seemed to get the better of Punk in the match early on, utilizing tighter combos and strategies that Punk failed to keep up with. Still, Punk’s incredible fundamentals kept him in the game, and the two players continued to trade wins until the score was tied at two apiece. Upon securing the final game needed to reset the bracket, Nephew hardly showed any emotion on stream. Punk, on the other hand, looked worried. Ultimately, he decided to stick with Kolin heading into the second set. Punk might’ve felt like he had something to prove, since he refused to switch away from Kolin even as Nephew began to establish the same momentum that carried him through the first five games. But again, Punk’s fundamentals won out, particularly his skills with spacing and timing. Despite being relatively new to fighting game competition compared to some of his contemporaries, Punk regularly displays an uncanny ability to punish opponents who whiff moves in his face. His reactions are so precise that he makes every character he plays, from his main Karin to secondary choices like Kolin, look like a monster. As the match continued, this skill definitely came into play, as did his knowledge of Kolin herself, with whom he appeared to be no slouch even when matched up against a Kolin main like Nephew. At the end of the day, Punk was able to secure Street Fighter V for New York City, the team that would go on to win the entirety of Red Bull Conquest, edging out Oakland by just one point. When it came time for him to shake Nephew’s hand, Punk smiled and exchanged a few words with his opponent before basking in his accomplishment. He had earned a hard-fought victory against another Kolin player, perhaps the best he’s faced yet. As competitive fighting games continue to evolve and expand, many serious players are having to learn more than one character just to keep up, and competitors like Punk definitely seem to have the upper hand.